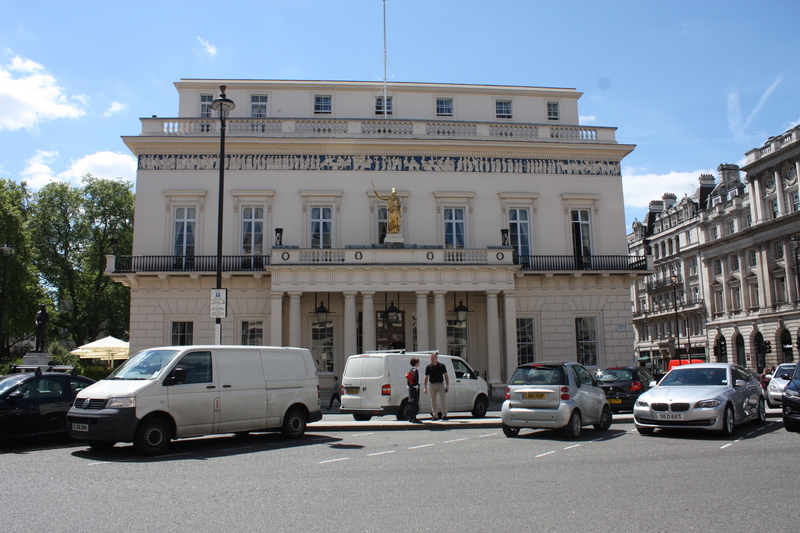 This is the Athenaeum Club, in London’s Waterloo Place. 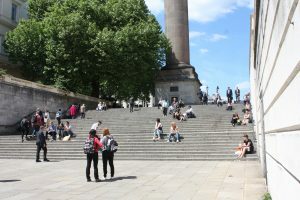 It lies at the top of the Duke of York’s steps (on the left as you go up). On the night of 6 May 1882, a Member of Parliament named Colonel Tottenham emerged from the club at around 11:30 p.m. after a good dinner. He met an astonishing sight on the steps. The Prime Minister was talking to a prostitute under the gaslight. Colonel Tottenham was delighted. As an Opposition MP, he saw an opportunity to make trouble for the Prime Minister. William Gladstone was a sanctimonious old goat who always took a high moral tone in public while evidently behaving very differently in private. 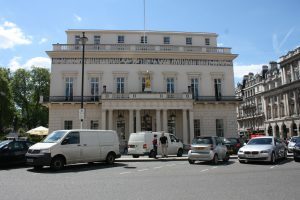 Gladstone lived across the road from the Athenaeum. He had been on his way back to No 10 Downing Street for the evening when the woman accosted him at the top of the Duke of York’s steps. Greatly embarrassed, he claimed to have been pointing out the error of her ways to her when he was spotted. Few believed him. The Opposition party had him followed for months afterwards in the hope of digging up more dirt that they could use in an election campaign. Worst of all for Gladstone, he returned to Downing Street that night to learn of the Phoenix Park murders in Dublin. His nephew, newly appointed as Chief Secretary for Ireland, had been stabbed to death by a gang of Irish National Invincibles (forerunners of the IRA) while walking in the park with the Permanent Under-Secretary.